Four years after Superstorm Sandy, the storm still raged under sunny skies one mild fall afternoon at the People’s Pantry food relief center in the Silverton section of Toms River. The pantry, which began as an impromptu food source for storm victims in the days and weeks after landfall, has become a community staple for thousands of families from Toms River, Brick and surrounding towns who have found themselves caught in a net of insecurity. They cannot keep up with the rising cost of living in New Jersey, but they earn too much money to qualify for food stamps and other assistance programs. The recent rise in the state’s gas tax has only made the pinch tighter, organizers say. New Jersey’s highest-in-the-nation property taxes and third-highest cost of living overall has driven hundreds of thousands out of state, but thousands more who remain have been driven to the People’s Pantry, which currently has 23,000 people in its database and will distribute 1.8 million pounds of food this year. As it currently stands, the pantry adds between 10 and 15 new families every day, the majority of which are Sandy victims who face a multitude of bills as they are still trying to rebuild their homes, or paying their storm-related debts, Donaghue said. A local company recently donated 300 boxes of cereal to the pantry. It took a day and a half for the supply to be completely run out, Masi said. The pantry employs four people at modest salaries who run day-to-day operations, with volunteers accounting for 1,500 man-hours of service each month. As the holiday season approaches and colder weather begins to move in, Donaghue said the pantry is seeking donations in order to purchase the most amount of food it can. There are some misconceptions about People’s Pantry, and food pantries in general, Donaghue said. Though the pantry is partners with Bon Jovi’s BEAT Center, the Jersey musician does not flood the organization with cash. It is still responsible for fund-raising, and paying insurance, utilities and – yes – food. “It’s an industry,” said Donaghue, explaining that donations of cash or food directly to the pantry goes much farther than a donation to a large food bank. “If somebody went and bought a turkey to bring to me, to feed a family for Thanksgiving, if they had brought me the amount of money, I could have bought 10 turkeys,” she said. 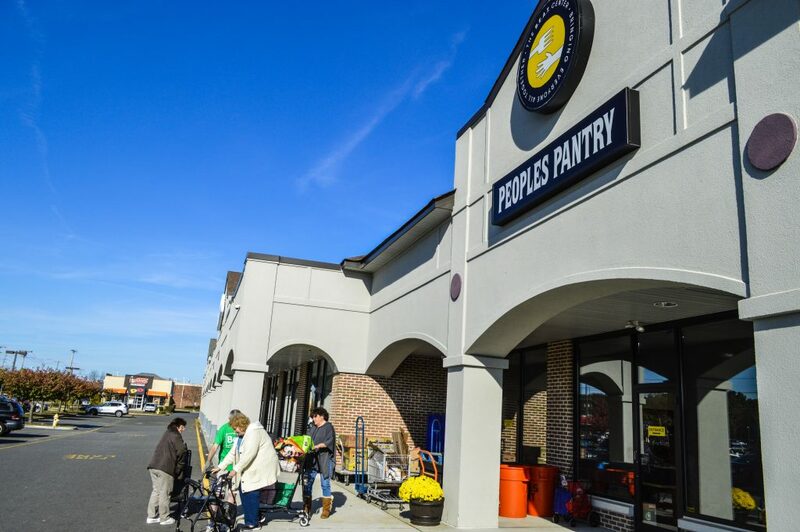 Recently, People’s Pantry found a new and valuable partner in Perlmutter Shop-Rites, which began donating thousands of pounds of food each week. Ultimately, the pantry is seeking to dispatch the misconceptions and ask local residents to consider donating directly to the organization during the holiday season and in the future. 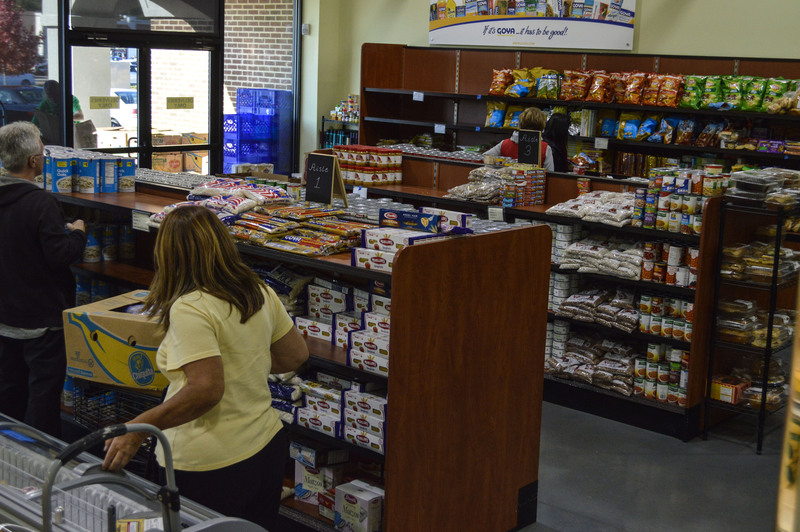 The pantry accepts food donations, but the value of the same donation in cash allows many more families to be fed, since the organization can buy with bulk pricing. The pantry is a true illustration of neighbors helping neighbors, the pantry staff said. The pantry is also unique in that it operates “supermarket” style, in a brightly-colored facility that evokes feelings of freshness and friendliness. The pantry’s appearance is deliberate – there’s no stigma attached.